Mine Is Sparkly, Too. Team Edward! Elric, that is. 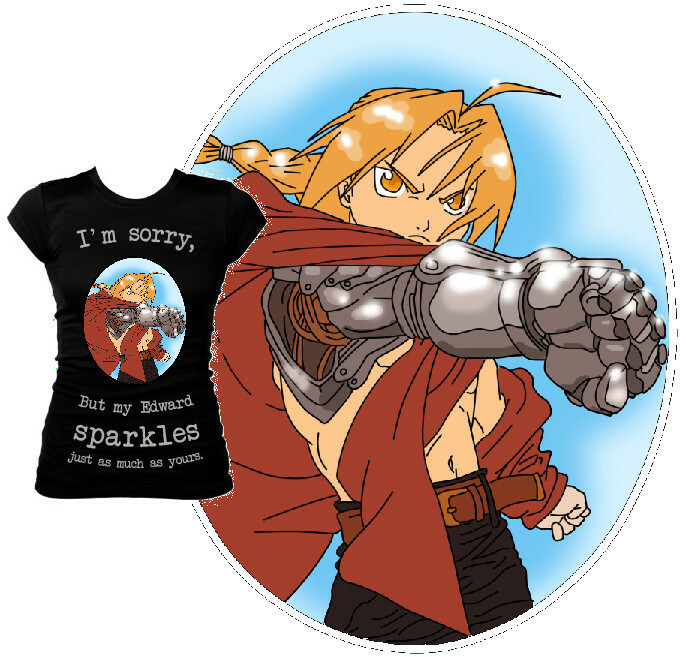 ;-) I want this t-shirt soooo bad.... Wallpaper and background images in the Critical Analysis of Twilight club tagged: twilight critical analysis funny shirt awesome sparkles edward elric fma fullmetal alchemist. Yeah! Edo-san is just as hot and sparkly!